The channels panel in Photoshop is one of the most disused and misunderstood parts of the program. But images have color channels with or without Photoshop. Read on to find out what color channels are, what RGB and CMYK are, and learn a little bit more about how image files work. 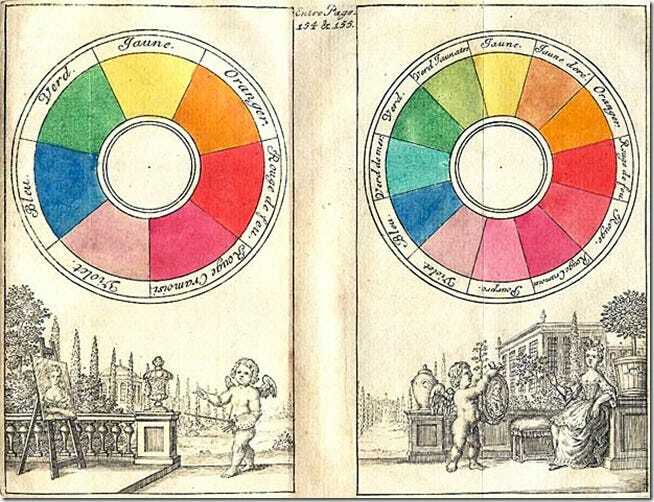 “Primary Colors,” at least in the sense you might have learned of them in High School art class, refer to a set of pigments that can be combined in various ratios to create every color in the visible spectrum. RGB and CMYK are combinations of a different set of primary colors: the primary colors of light, and primary colors for printing. Let’s briefly look at both of these, and contrast the two of them. It’s a well documented property of light that it can be refracted into the various, slower wavelengths that make it up. Another observable property of light is that it can also be recombined from these various wavelengths (we call them colors) back into pure white light. 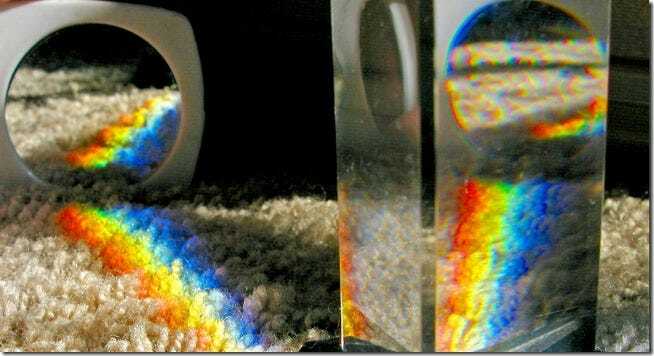 Issac Newton documented this in Opticks, a book on his studies of light and the refraction of it. 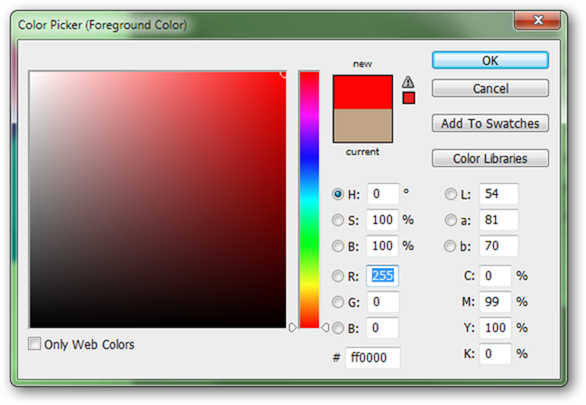 The RGB color model is exactly this. Combining light from Red, Green, and Blue sources, pure white light (or the illusion of it) can be achieved on computer screens or on various kinds of television monitors. 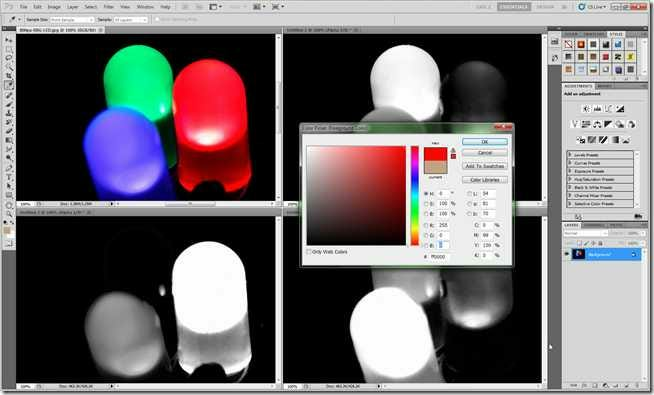 The RGB model of image is simply a way for images to track the amount of Red, Green and Blue light each pixel has. More on how, later, but first, let’s compare this light-based model to how print processes work. You’re possibly only familiar with the colors listed above because you buy CMYK cartridges for your desktop printer. Cyan, Magenta, and Yellow are called the “process colors” of printing, and can be thought of as a primary set of inks. You can see from the illustration above, that they combine in various amounts to create a wide range of colors, including a mixed black. Because mixing huge quantities of three inks can become expensive, printers decided to add black as a fourth color to this set. Black ink (known as key, or keyline, hence the “K” in “CMYK”) allows for less waste of the other three primary color, as well as richer prints with more color depth. Do We Really Need Both? CMYK files may be all well and good for printers, but why can’t we just pick one and use only it? As you might have guessed, RGB and CMYK files each are used to solve their own individual problems. 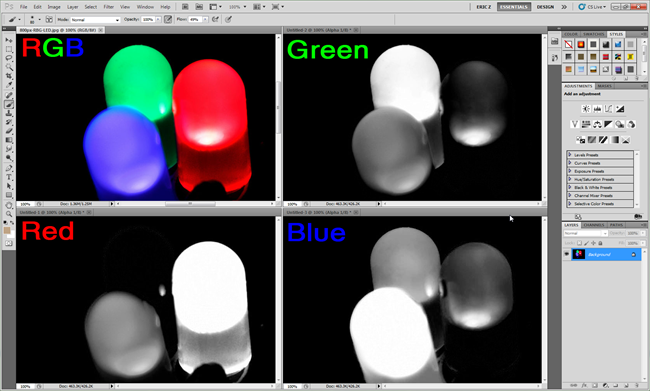 RGB files work with a model that is based around light. Because of this, they are ideal image file formats for on-screen and web based design—formats that will only be viewed through light projecting monitors or televisions. 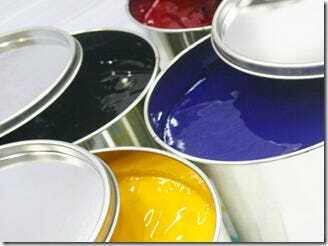 CMYK is the preferred color model when working directly for four color process print. It is possible for a designer to work in RGB files, but it doesn’t make sense to work with colors that can’t be printed. Therefore, working with CMYK can help eliminate the color shifts and various problems when translating an RGB document to a printed CMYK color gamut. What Does All This Have to Do with Image Channels? 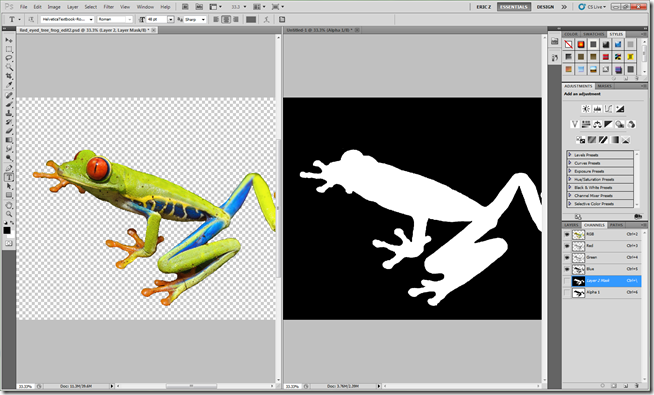 The illustration above shows Photoshop’s color picker tool. In a common 24 bit RGB image file, images are essentially made of three smaller 8 bit files. These smaller files are the image’s channels, and they have a range of 256 values, ranging from 0 – 255. You can see evidence of this in your color picker, with values broken down between Red, Green, and Blue on the left, and Cyan, Magenta, Yellow, and Keyline (black) on the right. Each channel represents the amount of light (RGB) or simulated ink (CMYK) each isolated color needs to combine to create the digital image. You’ll notice, that in the RGB file illustrated above, the brightest bulbs in the corresponding channels (marked Red, Green, and Blue) are the ones for the corresponding channel. In other words, the green bulb is the brightest in the green channel because it takes more bright green light to create an image of a glowing green bulb. Those combinations of single color, 256 color images combine color information to create millions of color tints, hues, and shades in every garden variety RGB JPG or CMYK Photoshop file. Wait, What Are Alpha Channels? Simply to make things one step more confusing, some image files (notably, like PNG) contain more image information in an extra channel. This channel is essentially no different than an RGB or CMYK channel, with 256 shades of gray representing the image areas. 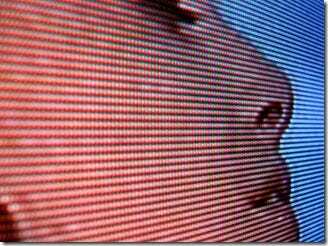 However, Alpha channels have on crucial difference: they denote transparency, not color information. The image illustrated above shows the composite RGB image on the left, with information from the alpha channel shown on the right. Wherever there is white, the image is opaque. Where there is black, it is perfectly clear, like a transparent PNG. The shades of gray in between allow for transparency beyond a simple “on” and “off” switch. Nothing else changes with an Alpha channel. It is more or less identical to any other 8-bit channel in any image, and is more or less just as easy (or as hard) to understand. Image Credits: Prism Reflections by sburke2478. Red Eyed Tree Frog by Carey James Balboa. Led 1 by Alessandro Vannucci. CMYK Process Ink by w_lebelie.